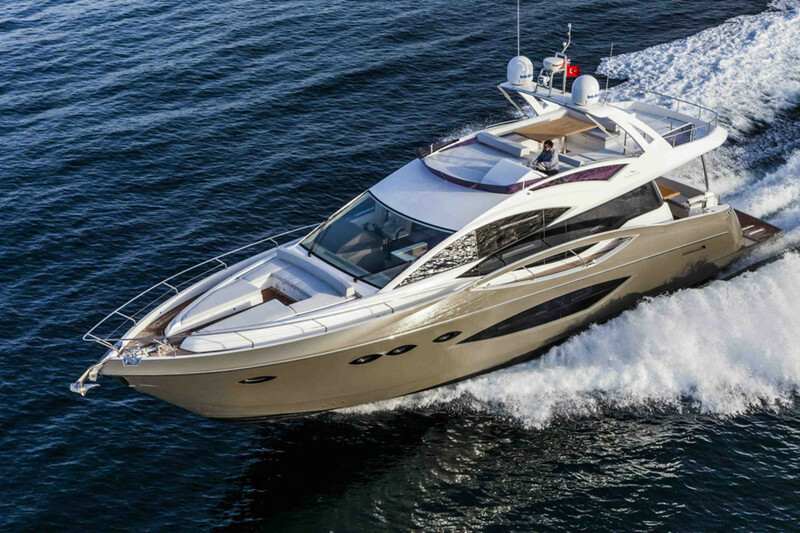 Turkish builder Numarine said it completed the production of its latest model, the new 70 Flybridge. The saloon features a configuration with a half open galley/bar, separate dining area and a lounging area. Accommodation consists of three en-suite guest cabins that include “split berths,” whereby the twin cabin’s berths can be joined or separated. The full beam master cabin features walk-in wardrobes, a dressing table, sofa, large bathroom with a walk-in shower and twin basins. Outside, fore and aft seating and dining space is geared for entertaining. The flybridge offers additional seating, lounging areas and a full wet-bar while allowing for a crane and stowage of a tender or jet ski.